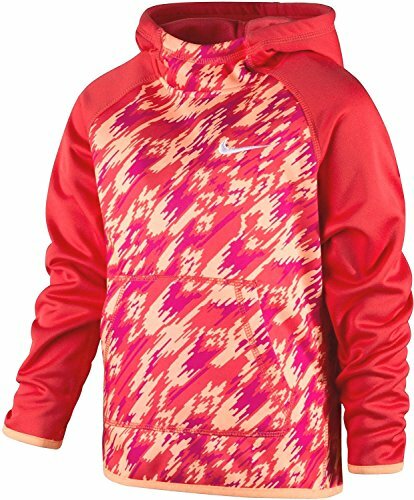 Hoodie is ember glow, orange, and pink in color. Therma-FIT fabric to help keep you warm and insulated. Kangaroo pocket for secure storage and to keep hands warm. Rib cuffs and hem for a snug comfortable fit. Swoosh screen print at front for style. Therma-FIT 100% polyester, machine washable.